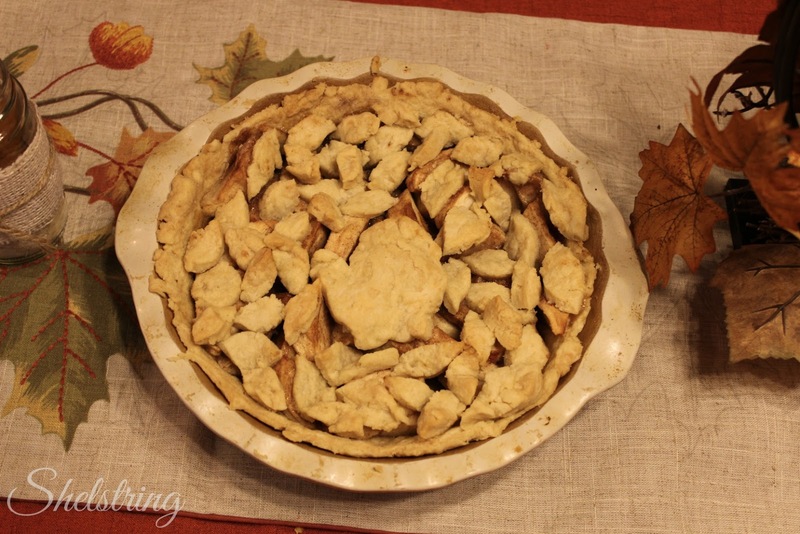 pies and no one complains ( unless I forget their favorites ;) ) that I'm going to be adding on inches so they have to loosen their belts...including me. 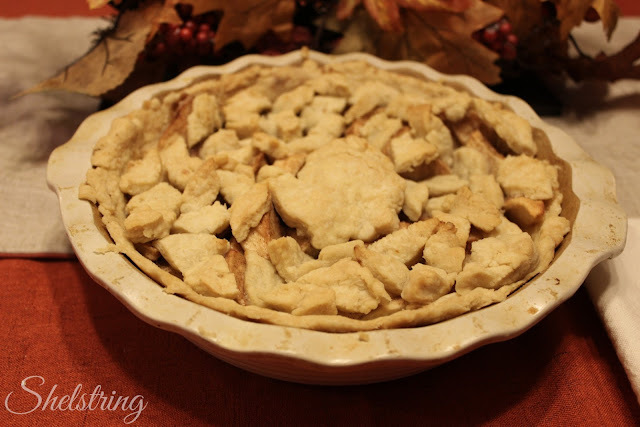 One must have on the pie buffet is Apple Pie. 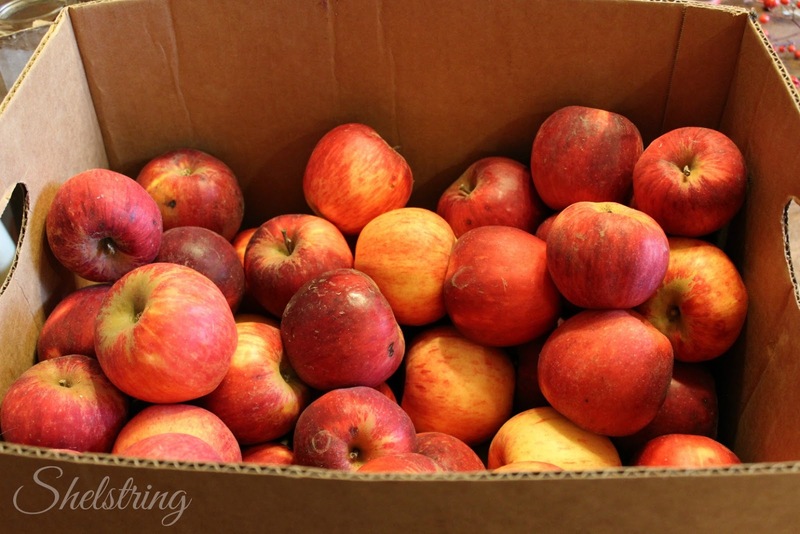 So I buy all my apples at the end of season sale at our local farm and stock up to make plenty of apple sauce and pie. 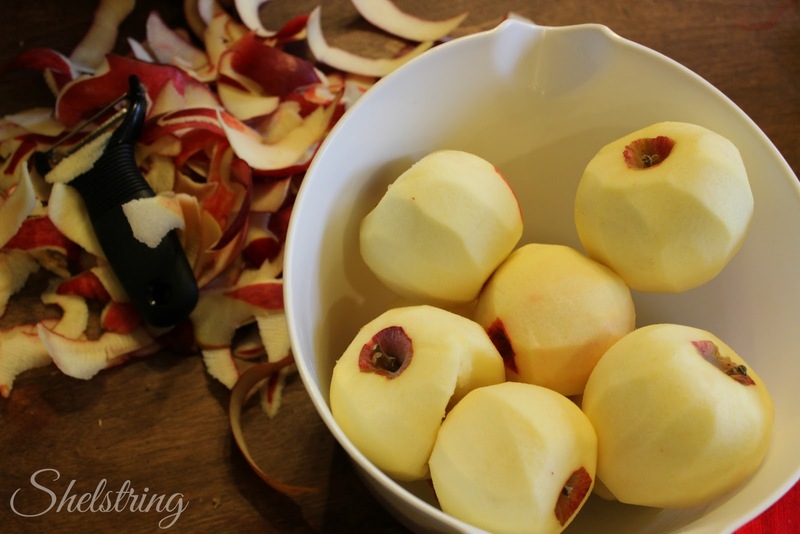 I actually really enjoy the process, peeling all those apples is a time that I listen to music I love or watch a wonderful fall movie while thinking things through. It's therapudic for me. I use an apple corer slicer to cut all my apples into wedges, which makes the whole process a lot easier and saves a lot of time. 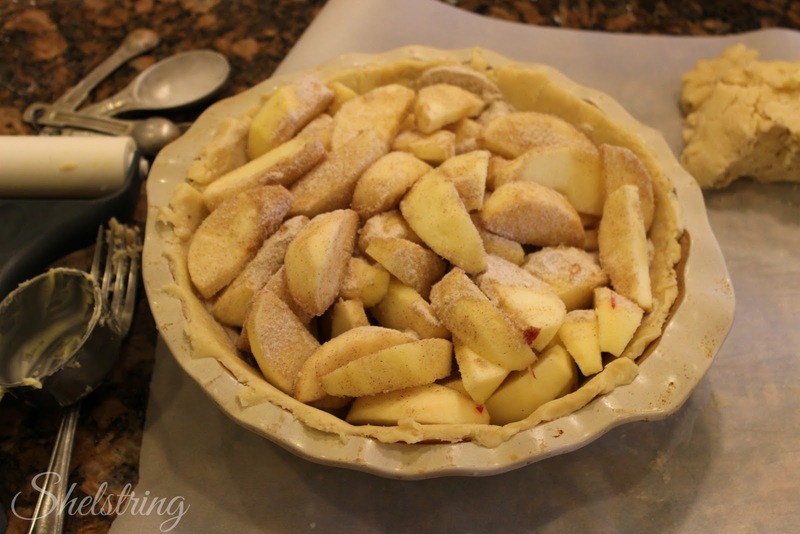 Then I put them into a prepared pie crust and sprinkle with a flour sugar mix to make an apple pie filling. The Filling and the crust come from a Better Homes and Garden's recipe. 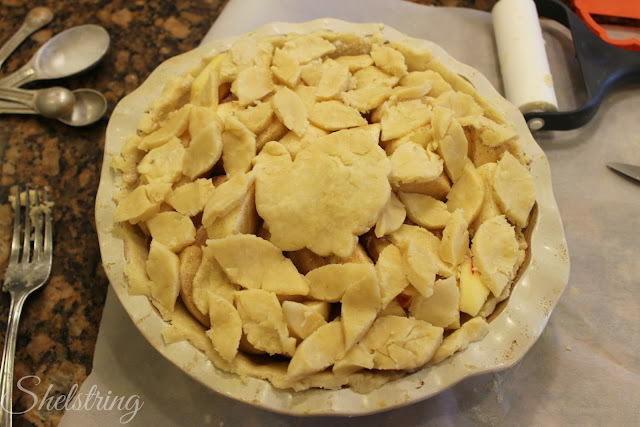 I think the reason I love this process is not only because I love pie, but it gives me an outlet of creativity. A few years ago a friend of mine that graduated from culinary arts school, taught me how to cut out leaves with a butter knife. So easy! But they do add a special touch to the pie and take away the pressure when you roll out your crust and it keeps cracking or falling apart. 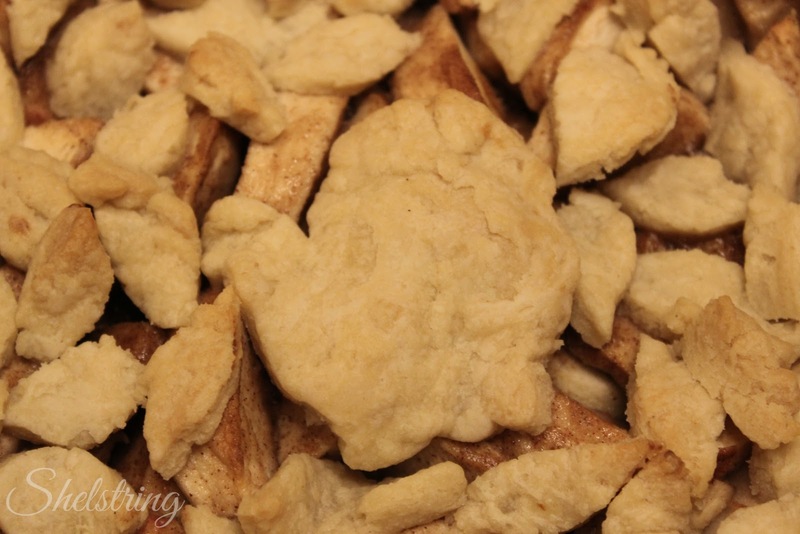 I had a cookie cutter of a Turkey, so I thought I would add one to the center as a fun focal point. Glad I got some pictures before my family quickly gobbled it up!